Welcome to the second post about the best tools for project management. In the last post I discussed Excel. In this post I will take a closer look at Microsoft Project. To be precise, I will take a look at the tool Microsoft Project Professional 2013. The professional edition of the tool should always be used, Standard just doesn’t provide the same power and functionality. MS Project is no Excel. And a person could easily make this mistake because just like in Excel, we have cells that can be filled with data. However, Microsoft Project has a scheduling engine and rules you need to be aware of before you can successfully create a schedule. Now, once these rules are hardcoded in your brain, Microsoft Project becomes easy to use. And the tool provides you with more in depth Scheduling functionality. Task 1 has 5 related tasks. And Project helps me by showing the result for the other 5 tasks immediately. Not only that, but it also gives me a nice highlighted section of all the effected tasks by making the dates blue. No need to update the whole sheet :-). In the last post I already mentioned that MS Project uses the Excel tool to create wonderful Charts and tables of data. However, with the 2013 tool we have options to use a dashboard report builder in the tool itself. Sure it uses Excel like features but the good thing is that you don’t need to move to a different tool anymore :). A weak statement, but one non the less. Reporting on MS Project Professional is a bit easier but less flexible compared to MS Excel. 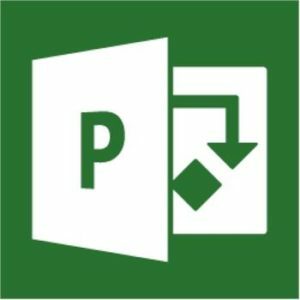 Microsoft Project, just like MS Excel, is a desktop application. Therefore collaboration will not be different from the Excel collaboration. You can share the file location or SharePoint site with a colleague or you can mail the file to a person, but that’s about it on collaboration. Yes! Yes, yes, yes. Please take a training course! Just to grasp the basics on the scheduling engine it would be a huge time saver. You can take digital courses such as the MS Project training courses by Bonnie Biafore on Linda.com. But a in person training course would be preferable. As a minimum I would advice anyone that would like to schedule a project in Microsoft Project to take at least 16 hours training. I believe with a little training everyone would be happy to use Microsoft Project compared to Microsoft Excel when it comes to scheduling. The difficulty with the tool is that people use it on a irregular basis, just once every 2 weeks will never make you proficient with any tool. For these organisations I usually search for a PMO solution. In this solution we train a limited amount of key users that communicate with the PM’s of a organization and change the schedule appropriately. These organizations seem to be most successful at implementing MS Project. Let me know what you think of the second post in this series. I hope you liked my analysis, of course it isn’t a complete documentation of how MS Project is better then MS Excel. But it might just give you a few hints on why you should choose Project over Excel. Hope you leave a comment below to let me know if you agree or not :). The next post will be about the Project and Portfolio management flagship called PPM or Project Server. If you liked this post you might also like the resource page or my book reviews (I recently added some free goodies with a couple of the books). It seems that you know well MS Project. But how do you see it compared to RationalPlan?